Lanterns are very decorative items. They are small, bright and very attractive. Using lanterns for decoration is becoming a trend. They are perfect to adorn your outdoor space. They add life, joy, and coolness. Besides, they will eliminate the dullness. 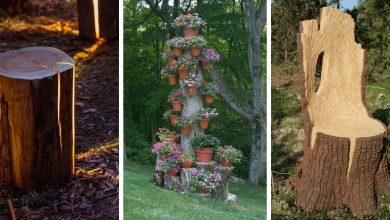 Therefore, in this article, we have compiled 32 fascinating DIY lantern ideas that will inspire you to embellish and brighten up your outdoor space. 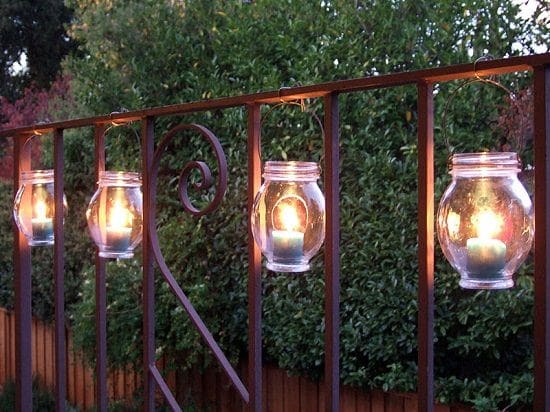 These lanterns are an excellent choice to make your outdoor space warm and appealing. 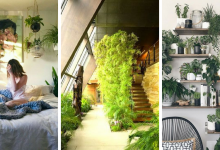 Besides, you can hang them so they don’t require any ground space. If you want to make these lanterns, you should follow this tutorial. 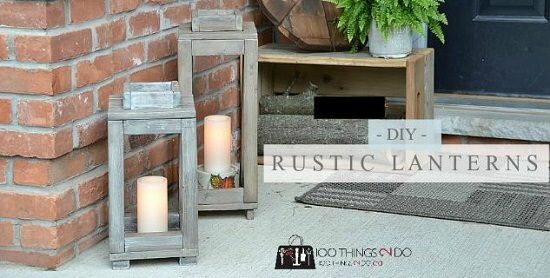 This DIY project requires some skills but even if you don’t possess them, this tutorial will make it easy for you to build this beautiful rustic lantern. These stylish lanterns will make your outdoor space not only warm but also attractive. 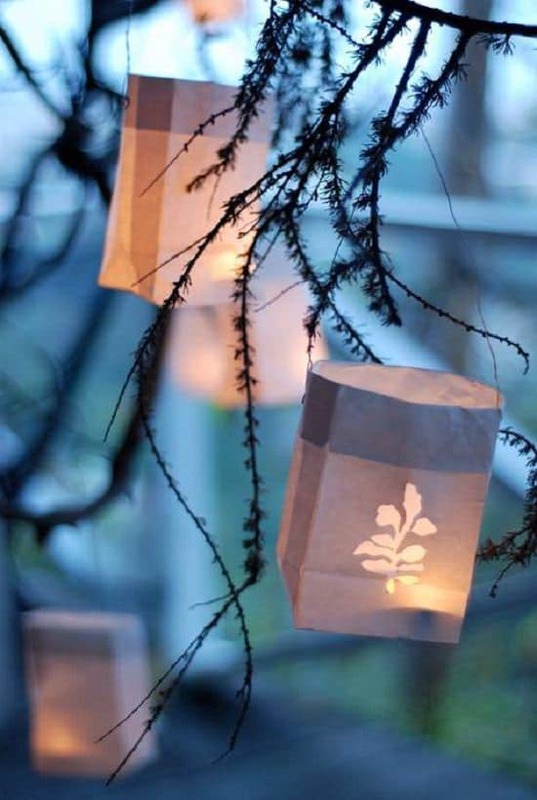 This is one of the most beautiful DIY lantern ideas. It is also an easy idea. It only requires twines and glass jars. 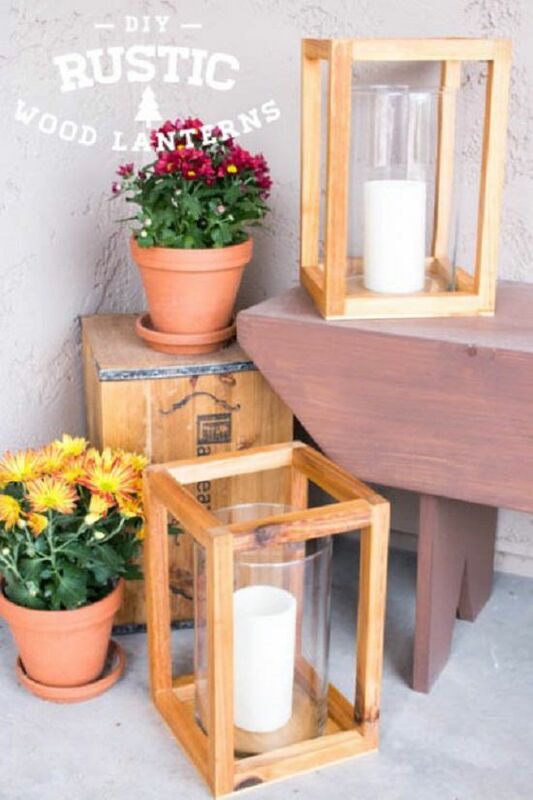 These lanterns are perfect to decorate both your indoor and outdoor space. They are very attractive and they will create a uniquely passionate and romantic atmosphere. If you want to have this rustic decoration, visit Martha Stewart. Creating these lanterns is a fun process. You can even let your children join you, they will enjoy it. These lanterns are very decorative. They are extremely colorful and attractive. They will create a pleasant atmosphere in your outdoor space. For more information about this project, read this article. Once you have these items, follow these instructions. 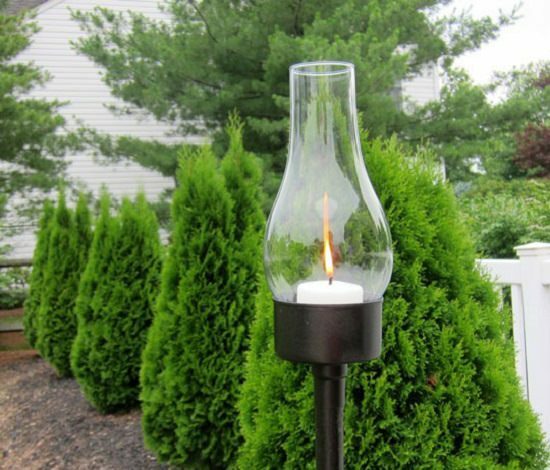 If you wish to see more inspiring DIY solar lights ideas, check out this article. A full detailed guide that will definitely help you is available at Made In A Day. 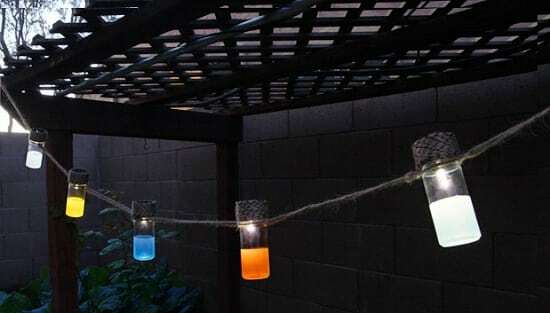 This is one of the easiest DIY lantern ideas. It neither requires time nor effort. All you need to do is to cover your lantern with a fabric of your choice. If you wish more information about this DIY project, you can find them here. Rustic lantern ideas are just adorable. They are extremely decorative and inexpensive. They also harmonize well with any elements. In brief, they are an excellent decorative choice. If you are interested in this idea, check out this article. 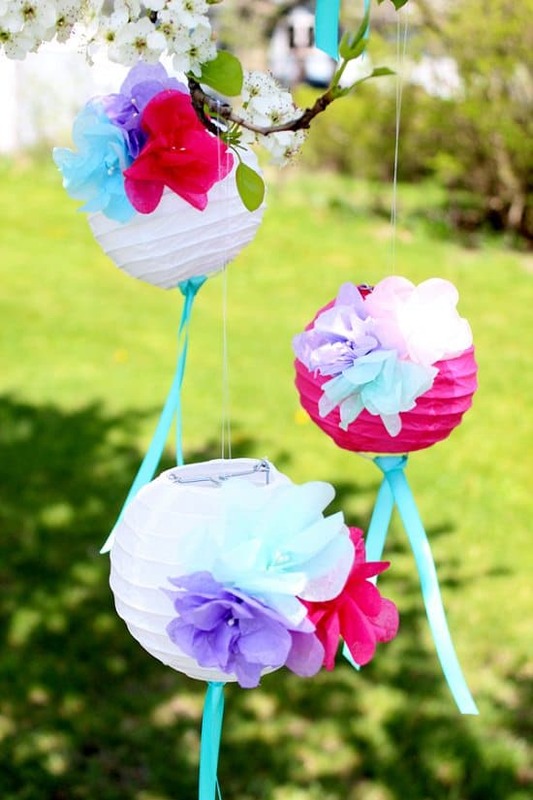 These beautiful lanterns can be your first DIY project since they are extremely easy to create. They are quite simple. You will only need to glue flowers and greenery on the wax paper. A full detailed guide is available here. These are excellent lanterns to embellish your outdoor space. 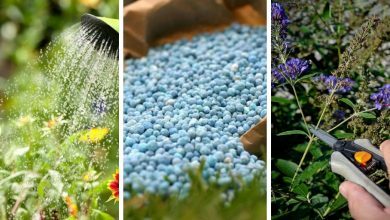 They are natural thus they will blend in perfectly with your garden. 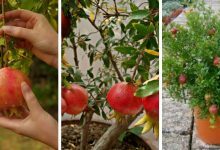 This article will show you how to create them. 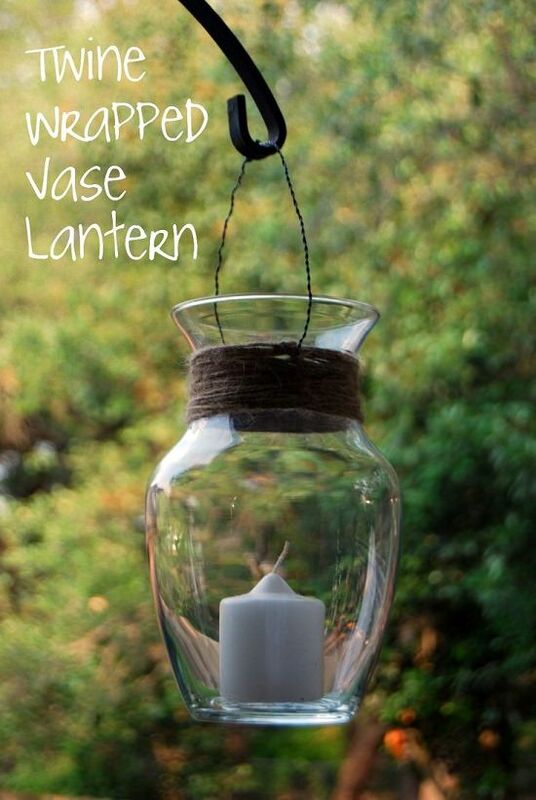 This is the simplest DIY lantern idea. 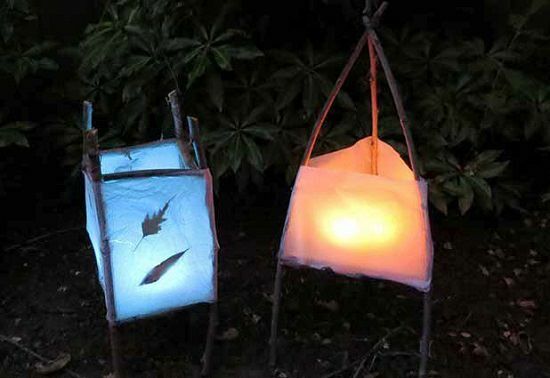 It will only take you 5 minutes to create these lanterns. However, they are very beautiful. 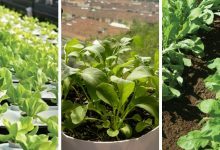 They will set your garden “on fire”. Learn how to make them here. 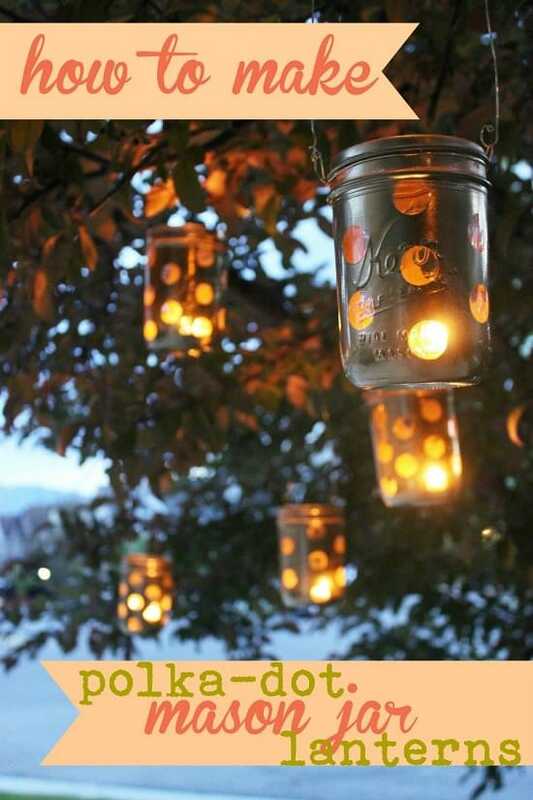 This is one of the most creative DIY lantern ideas. These lanterns are completely fascinating. 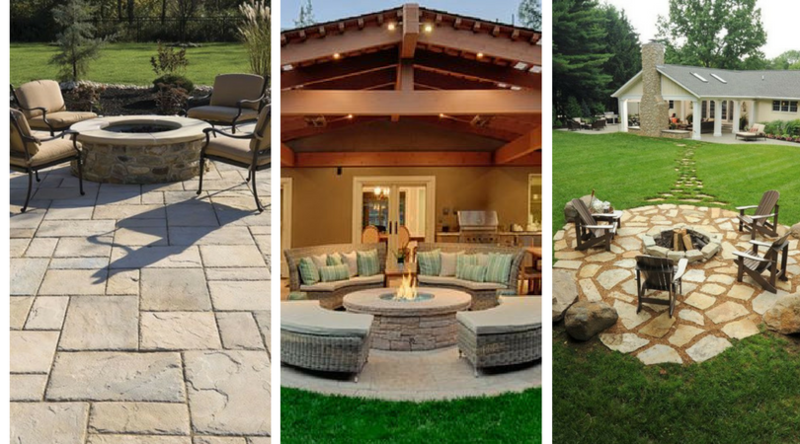 They will make your outdoor space absolutely attractive and unique. Whenever you step a foot outside your place, you will enjoy this sparkling pleasant view. 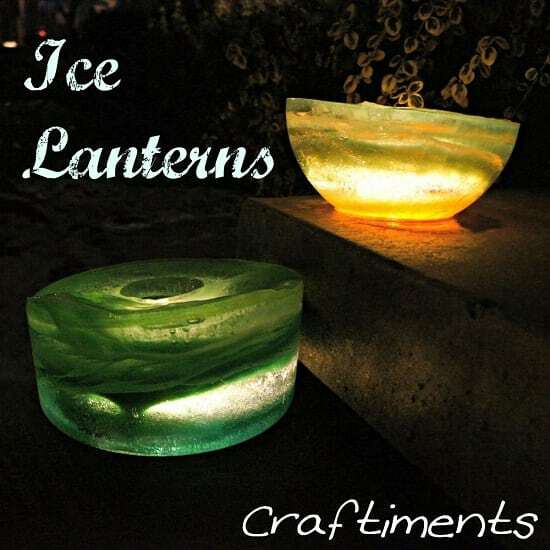 The tutorial for creating these lanterns is available at eHow. 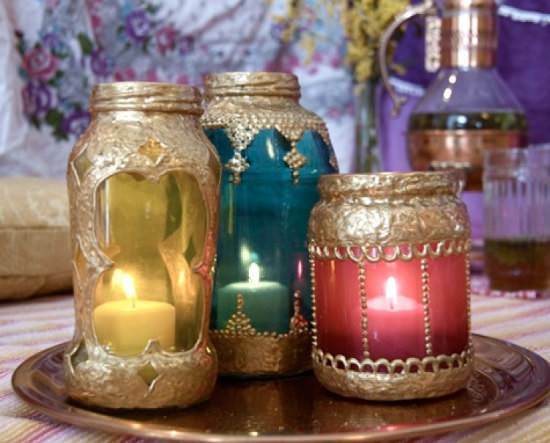 These lovely cute lanterns are very decorative and inexpensive. They are made of dowel rods and other cheap materials. 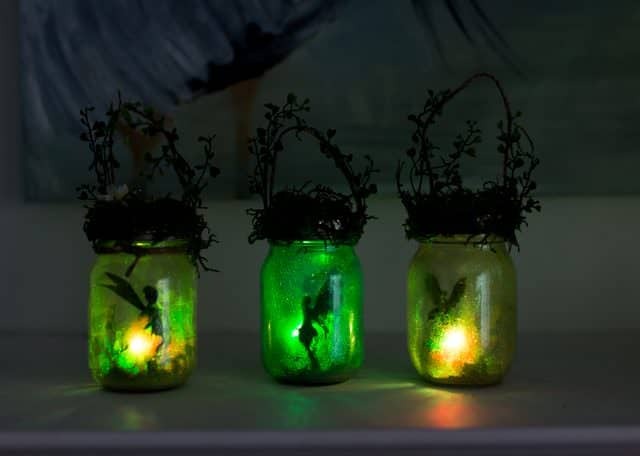 The Homedit has a full tutorial on creating these lanterns. 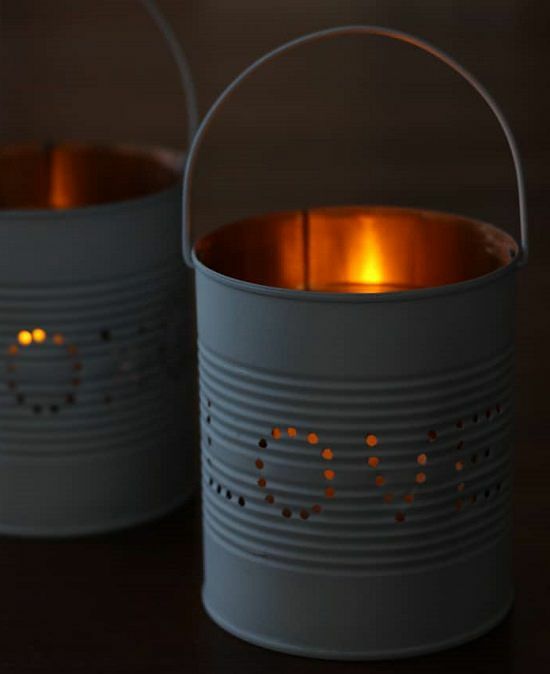 Transforming tin cans into these ornamental and alluring lanterns will be one of the best investments of your time. 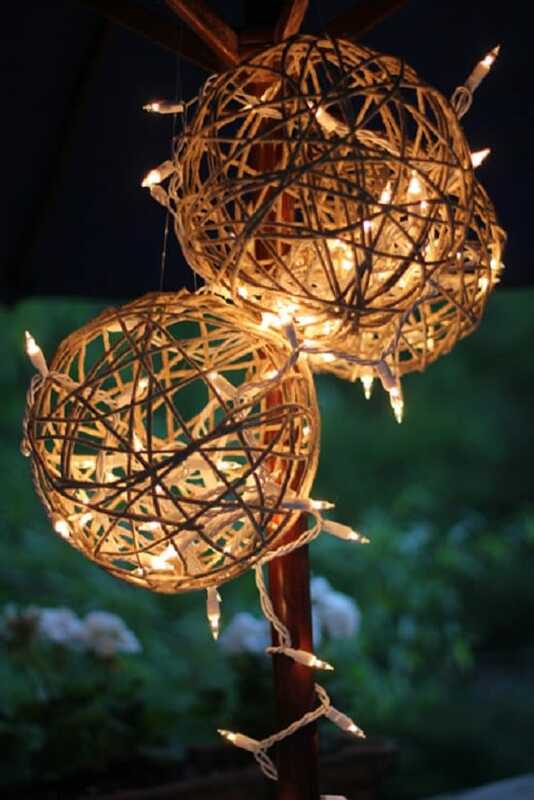 You could use them to light up your outdoor space and to create an extremely romantic atmosphere. Besides, it is not difficult to create them, all you need is this article. 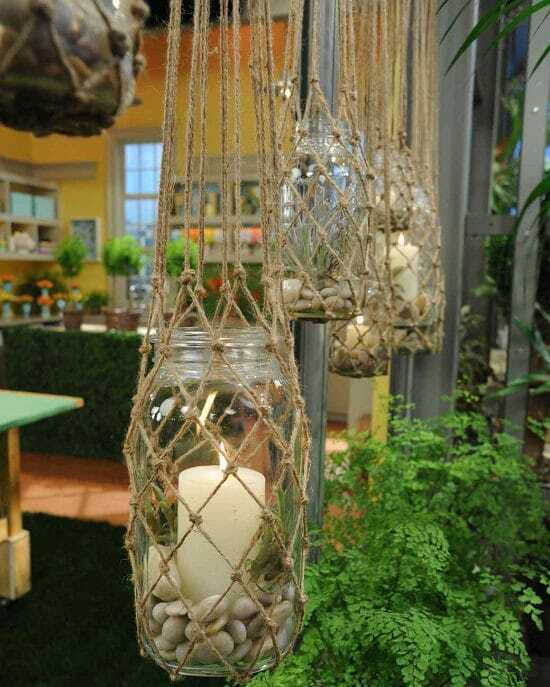 These lanterns will make your garden magical. 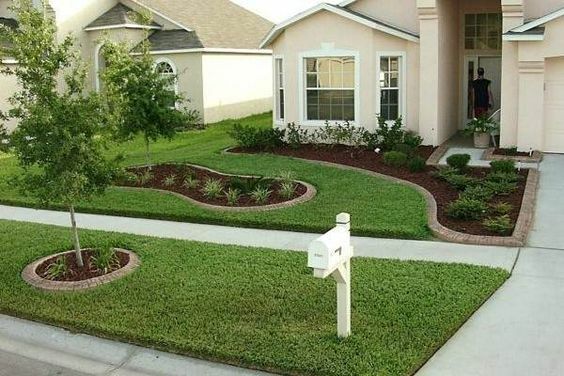 They are absolutely magnificent and they will make your garden looks fascinating and wonderful. For instructions, visit Craftiments. 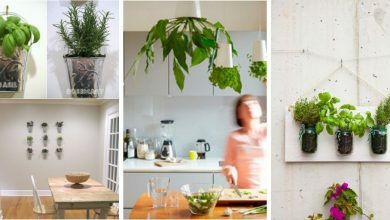 These are the easiest DIY projects. Creating these paper bag lanterns is effortless and it requires no time. Yet, they are ornamental and appealing. 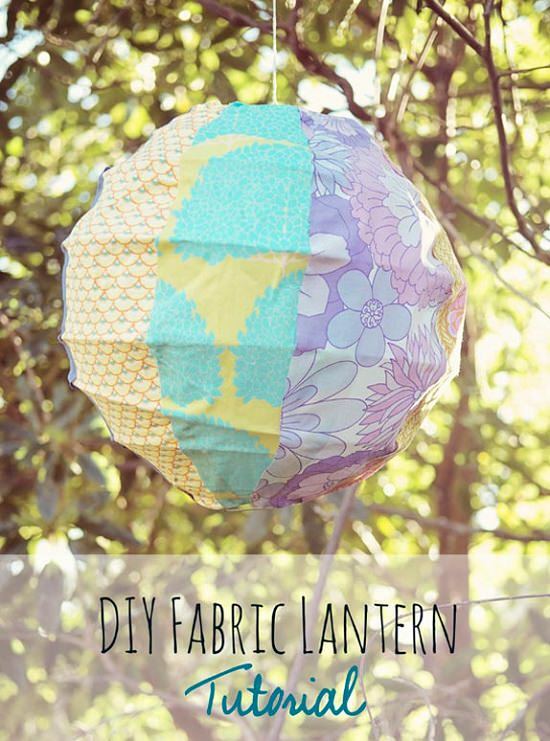 You can find all the steps you need to create these lanterns here. Paper flowers are excellent materials for creating lanterns. 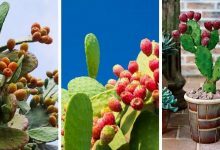 They are colorful, attractive and most of all they are budget-friendly. The tutorial for creating these lanterns is available at Studio DIY. 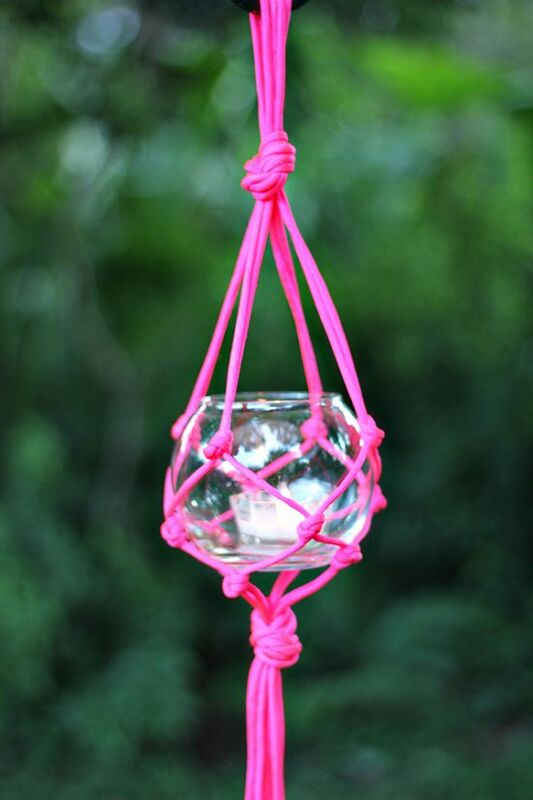 This is one of the easiest and the most charming DIY lantern ideas. These lanterns are very ornamental. 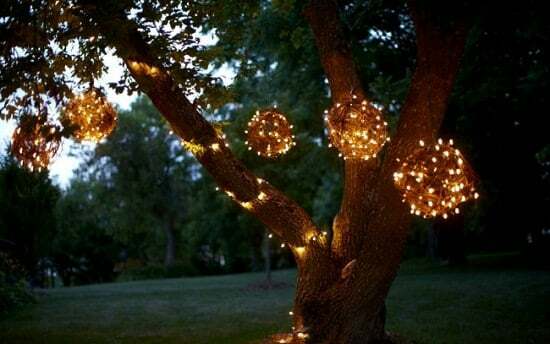 They will definitely attract attention to your outdoor space especially at night. All the details you need about this DIY project are available here. 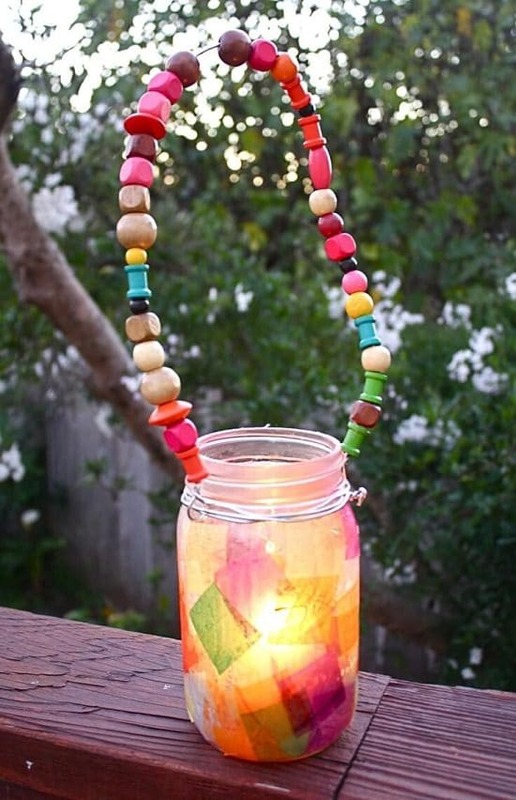 This is one of the trendiest DIY lantern ideas. These lanterns are largely popular because they are very decorative and cost-effective. For more information, visit The Sway. These lanterns are very cute. They are small in size but big in effect. They are very attractive and adorable. 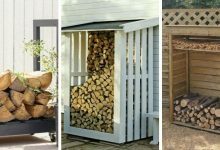 If you want to have them in your outdoor space, you should follow these steps. This lantern idea is very easy to duplicate. 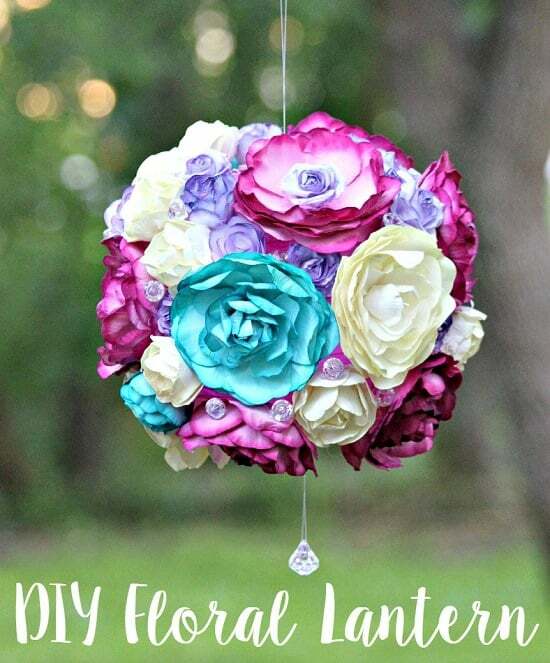 You will only need some paper lanterns and paper flowers. Once you have them, follow these instructions. 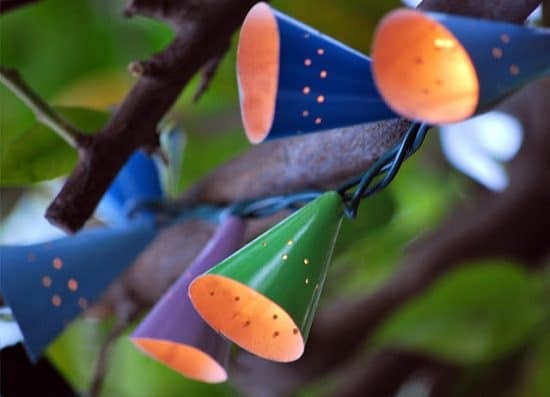 These lanterns are ideal to decorate gardens, porches, balconies, front yards and backyards. 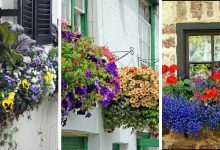 They are very charming and appealing and they will make any outdoor space looks astonishing. Learn more about them at A Piece of Rainbow. 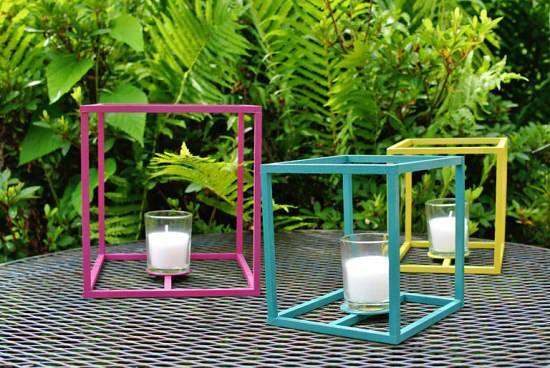 These beautiful lanterns are a perfect decoration if you want to give your outdoor space a contemporary look. They are very elegant and stylish. Moreover, they are made of cheap materials such as Tuna cans. The tutorial for creating these lanterns is available here. This is a very amusing project that you could work on with your kids. They will love it and enjoy it. 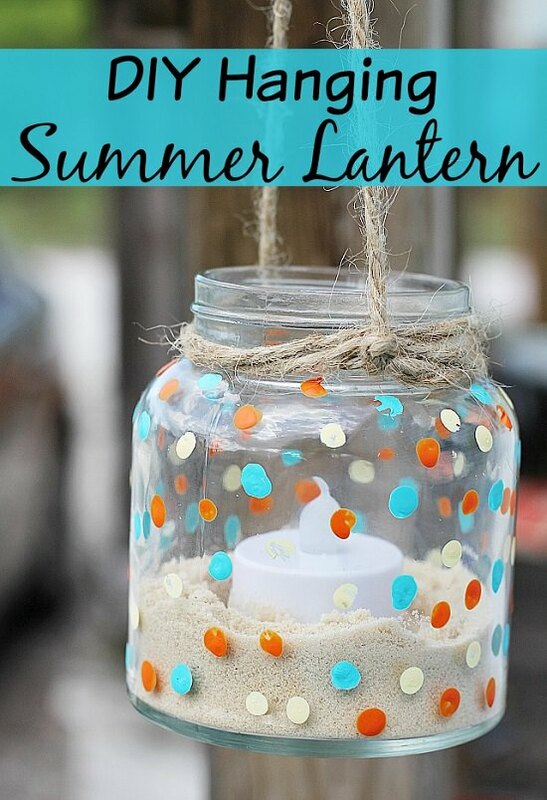 You can create these cute lanterns in three steps. You can find out about these steps here. If you are looking for a lovely decoration that you can create in no time, these lanterns are perfect for you. They are very decorative and they will only take you a couple of hours. If you are interested in having them, here is the tutorial. These lanterns will give your outdoor space an astonishing view at night. You will definitely enjoy having them in your place. Here is a detailed guide on how to make them. 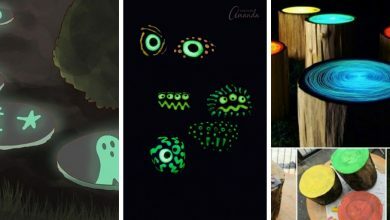 You could use these eye-grabbing lanterns to decorate your balcony, porch or fence. They are a delightful decoration. They are also cost-effective. To create these lanterns, you should follow these instructions. 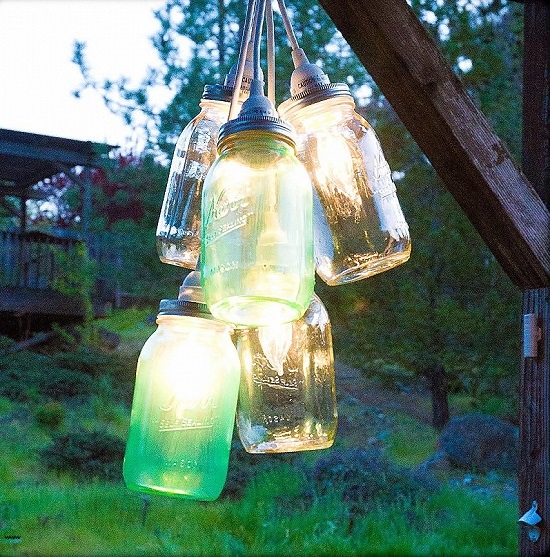 These beautiful DIY lanterns are made of mason jars and light cords. They are ornamental and attractive. Making these lanterns is a piece of cake, apply these instructions and you will have them in no time. 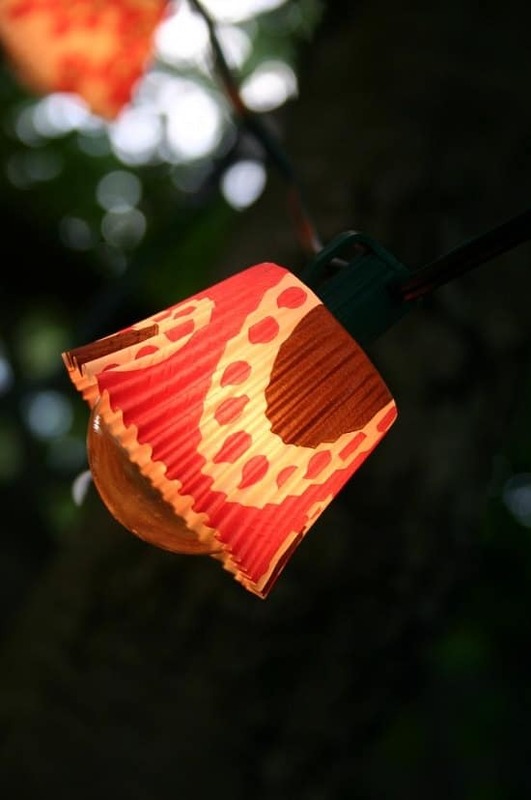 The Design Sponge offers you this lantern idea. It is an exciting and creative idea that you should definitely try. It won’t take much time and it costs no money since empty wine bottles are free and widely available. Pots, whether they are clay or plastic, they can make extremely pleasant lanterns. 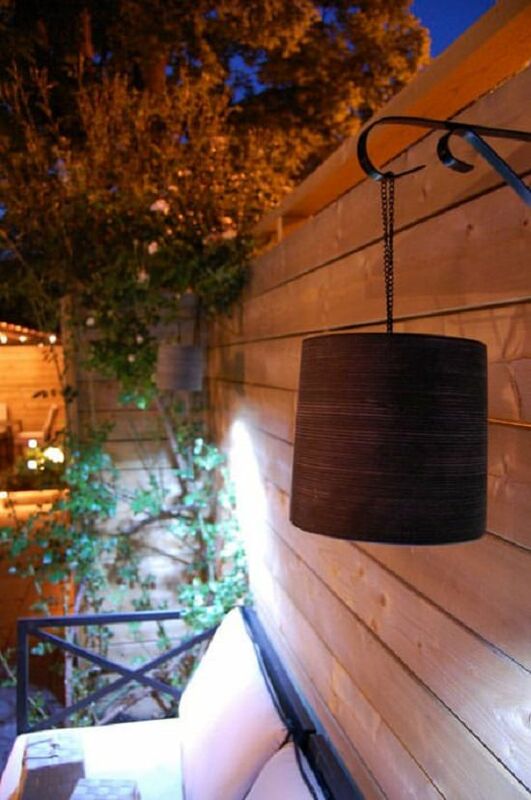 For example, this adorable lantern that adorns this outdoor space beautifully is originally a clay pot. 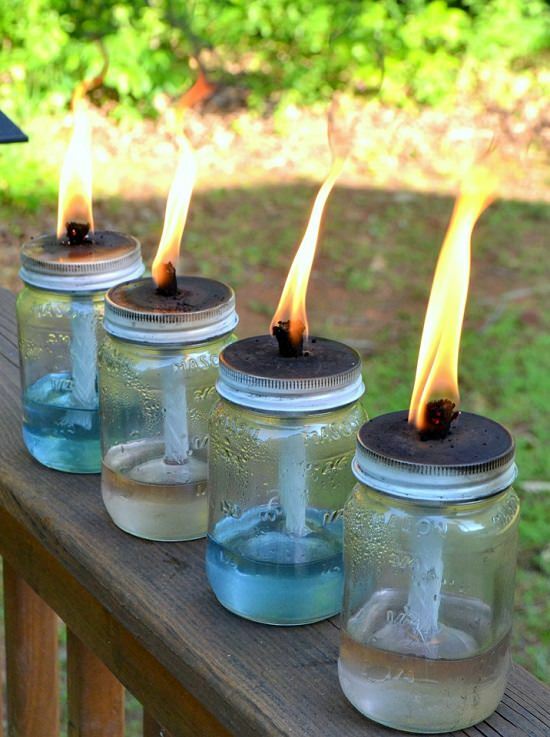 If you have any pots you want to turn into a lantern, you should check out this article. Flower vases are excellent materials to make lanterns. They are simple, beautiful and elegant. If you want to transform a flower vase into a lantern, this article will help you. 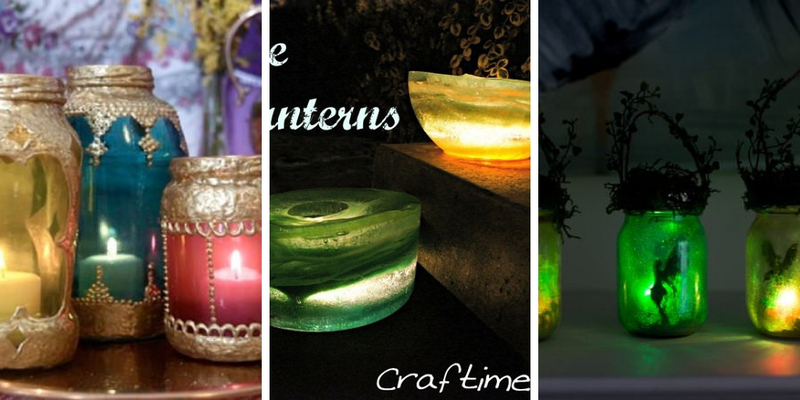 These are definitely one of the most astonishing and alluring DIY lanterns ideas. These lanterns are very attractive and decorative. They are fit for both indoor and outdoor decoration. If you want to have these exceptional beauties, visit the Design Sponge. 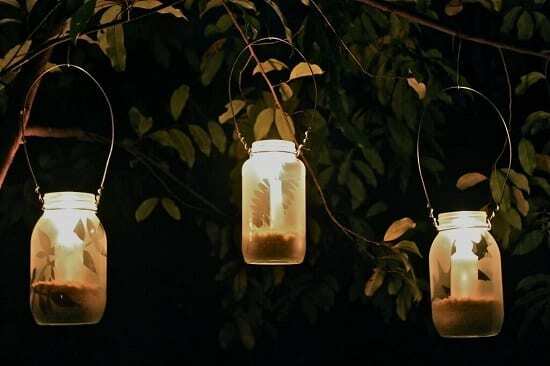 These are the most fascinating DIY lantern ideas. 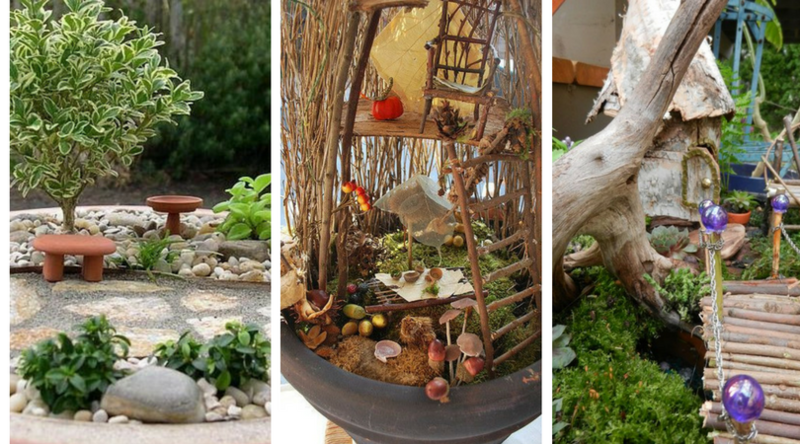 All of these ideas are inexpensive and affordable. Besides, they are very beautiful and decorative. 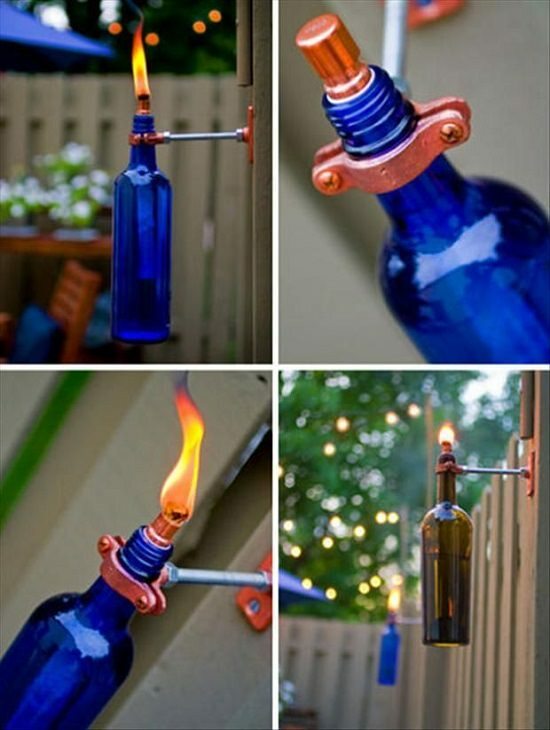 They will adorn your outdoor space making it extremely pleasant and entertaining. 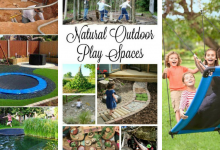 Enjoy decorating your outdoor space and don’t forget to share our posts with your friends.